Absolute Bagels was shut down by the Department of Health on Thursday after five health code violations. 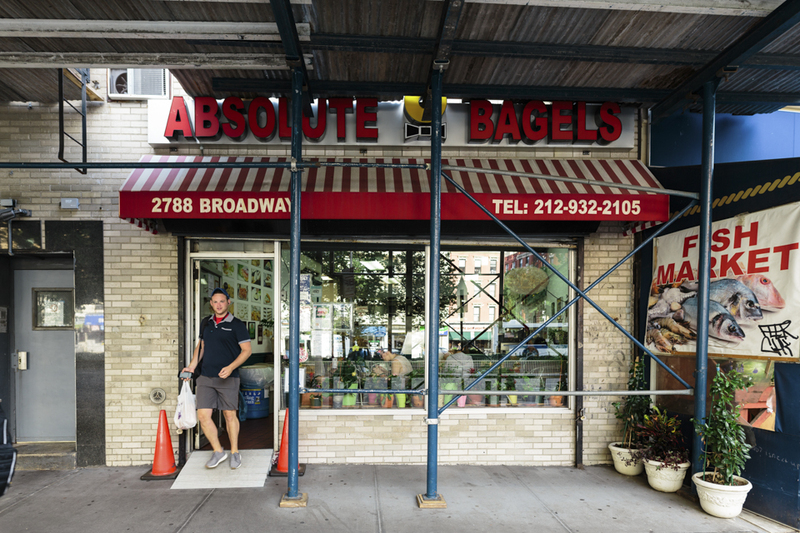 Absolute Bagels, one of the Upper West Side’s most beloved bagel shops, was temporarily shut down by the Department of Health on Thursday due to five different health code violations, including evidence of mice and filth flies. Absolute has remained closed, but is planning to reopen on Tuesday after a series of exterminations, according to the sign on the shop’s shutters. This is not the first time Absolute has been shut down by the Department of Health. In January 2013, the bagel shop was shut down for 11 health code violations after earning 73 violation points, four of which were the same as those leading to the current closure. The DoH ranked the problem as ‘Critical,’ giving Absolute a health score of 45. Under the Department of Health’s checklist, restaurants with 28 or more points earn a grade of “C,” the lowest grade given out by the Department. Absolute was not given a grade on Thursday. Absolute did not respond to phone calls from Spectator.